Are Sweepstakes and Contests the Same as Lotteries? Sweepstakes, contests, and lotteries all offer people the chance to win prizes. However, they are not the same thing—a sweepstake isn’t a contest, a contest isn’t a lottery, and a lottery is certainly not any of the two. How are they different? I take a closer look below. 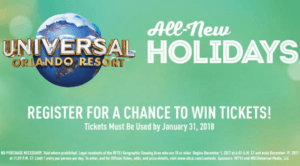 By definition, sweepstakes are promotional giveaways wherein the prize—or prizes—are given out to randomly selected winners. Entries come at no cost to participants, so you don’t have to purchase anything to be eligible to win. A pretty good example of a sweepstakes. Prizes are usually in the form of small knick-knacks like shirts, mugs, and coupons, but can also be other types of prizes like lottery tickets, brand new cars or even money. There are also types of sweepstakes that allow participants to gain additional entries. For instance, one giveaway might ask you to like their social media pages, or visit a website, or even share a post or two. In contrast to the random nature of sweepstakes, contests are strictly merit-based. That is to say, contest winners are picked because they bested all the other participants. Winners, for example, could have been picked because they had the most striking photograph or had the most beautiful artwork. In other words, you win because you were deemed the most skillful of all. 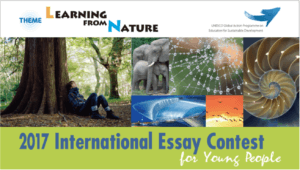 Contests come in all forms–such as this recently-concluded essay writing contest from the GOI Peace Foundation. Another way that contests differ is that a public voting system can also be utilized to pick the winner. For example, some reality tv shows—like, say, American Idol—are types of contests that employ judges in conjunction with a public voting system. If sweepstakes are free games of chance, lotteries are games of chance that require an entry fee. For instance, if you ever wanted to participate in the California Fantasy5 lottery, you’d have to purchase a $1 ticket to enter. And that’s if you’re of legal gambling age. If not—then you are not allowed to purchase a ticket, even if you have the money to do so. Winning the lottery works differently than the sweepstakes, too. Upon purchasing tickets, players must choose a set of numbers to play. And to win, your numbers must match the ones that are randomly picked during the draw. The more numbers you match, the higher the prize—and vice versa. You’re still looking at a game of chance, but it’s more involved—and certainly more complex—than sweepstakes. Prizes of value are offered. Players win not by skill, but by chance. 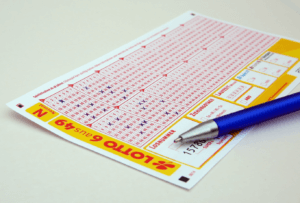 In countries like the United States, where strict laws prohibiting private lotteries are firmly in place, sweepstakes must be able to differentiate themselves—lest they be tagged as an illegal lottery. They can do this by simply ensuring that at least one of the elements that define a lottery is not present in their sweepstake’s DNA. Since sweepstakes can’t go without being a game of chance or offering prizes of value, there is really only one way to avoid becoming an illegal lottery: eliminating the element of consideration. In other words, legal sweepstakes must not be a “pay to play” type of game. If you’re in the U.S. and you encounter a sweepstakes that asks you to pay upfront to play, it is most likely a scam. In some countries—like Canada, for instance—sweepstakes work a bit differently. That is, sponsors can’t pick winners purely based on chance. Canada’s sweepstakes law requires that for participants to be eligible to win, there must be some level of skill involved. For example, if you successfully answer a question that tests skill, you can become eligible to win. What About Contests and Lotteries? As previously mentioned, contest winners are picked on a purely merit-based system. In that way, lotteries can never be contests because winning will never about who did better than the rest. You either match the winning numbers or you don’t. But, what about those who purchased more tickets than most and actually won? It’s hardly the same as a contest though. A player can purchase as many tickets as possible and they could still end up with nothing. Again, if you don’t match the winning numbers, you don’t win anything, no matter how much effort you think you put into it. For a wide array of examples, one of the best places to find sweepstakes is Win A Sweepstakes. Giveaway prizes range from Amazon gift cards, to a DJI Mavic Pro drone, to an Apple iPhone X, and beyond. With the ubiquity of camera phones and affordable DSLR cameras, photo contests have become quite popular in recent years. One of the best places to join a contest of this nature is Viewbug. Their photo contests follow different themes and a lot are open to anyone willing to join. Some contests are only free for their Premium and/or Pro members though. You don’t really have to search high and low for a lottery game; chances are, you already pass by a store or two that sells lottery tickets on your way to work. But, if you wanted to play in more lotteries than what is available in your area, then look no further than theLotter—one of the leading online lottery sites. You can choose from a dizzying amount of lottery games from all over the world—including heavy-hitters like the US Powerball, Mega Millions, Euromillions and SuperEnalotto.